Ellen S. Cappellanti is the Firm’s Managing Member and handles a wide array of transactions covering numerous industries. She practices out of the Firm’s office in Charleston, West Virginia. Ellen has dedicated her professional life to Jackson Kelly and to the West Virginia community. 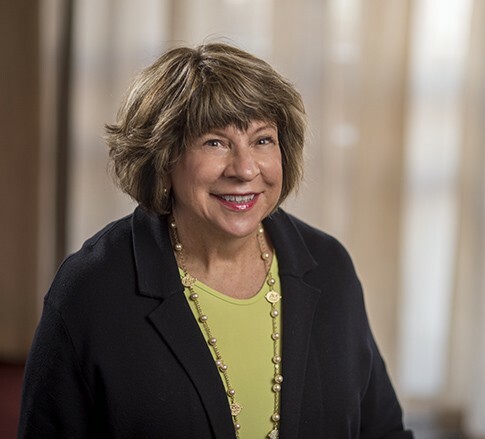 After more than 35 years at Jackson Kelly, Ellen is one of the Firm’s most valued and respected voices, as well as one of West Virginia’s most well-connected and esteemed business leaders. Ellen enjoys leadership and the challenges of being a leader, but loves the day-to-day practice of the law. There is little Ellen hasn’t seen over the course of her career, which means she has a wide variety of experience in commercial transactions – from financings to mergers and acquisitions to real estate development projects – Ellen is never out of her element. For an attorney to understand the legal issues of business clients, the attorney must know the business world. Ellen has been so immersed in that world for almost four decades it is difficult to summarize her experience – in fact, it might be easier to list things she hasn’t accomplished. Ellen has been recognized in The Best Lawyers in America for her work in bankruptcy, corporate mergers and acquisitions, and real estate. She was also named as a preeminent corporate and M&A attorney in Chambers USA Guide: America’s Leading Business Lawyers. Ellen’s clients told Chambers USA that her “connections in the state make it easy for us to reach the right people.” The bottom line is, you can rely on Ellen’s judgment, skill, and personal experience to find a solution to almost any legal problem. Ellen’s dedication to the law and her clients stems from her deep love of the community. She truly wants to make West Virginia a better place, which underlies everything she does, both personally and professionally. Governor Joe Manchin recognized this in 2007, when he appointed her to the West Virginia University Board of Governors. Ellen also is committed to economic development and promoting West Virginia, and has participated in trade missions to Taiwan, China, and Japan with Senator John D. Rockefeller IV and Governor Manchin. A native of Morgantown, West Virginia, Ellen graduated from West Virginia University and WVU College of Law. She is an avid golfer, traveler, and reader. She and her husband, Mark, have three sons and are doting grandparents to two grandchildren. State Bar and Professional Education Systems, Inc.